It is a good thing that I decided to quilt on it while the pizzas were in the oven because after we ate I decided to get some meat out of the freezer for dinner. When I pulled out what I wanted a 20 lb package of frozen meat fell and hit my foot…OUCH! Thank goodness I have good reflexes or I would have a few broken toes. I managed to get most of my foot out of the way. I was hit on the very edge of my foot. Not enough to do damage, but still enough to hurt. So now I plan on going upstairs and working on binding my BIG quilt. I will check back in with everyone later. Pinned, taped, and ready to go! I have the back together and it is all from scraps. Believe it or not what I had left when sewn together made the EXACT size I needed for the back. Don’t you just love it when it all turns out? I have been piddling around, but finally have the top sewn together. Now I just have to figure out what I will be doing for the back. I can not make it the exact same as the other one because I said this was going to be a scrap project and I don’t have another one of those white squares for the center and I don’t have enough striped fabric scraps to go around one any way :( SOOOOOO I need to come up with a new idea to use what I have. I was going to cut into my yardage and got called on it by hubby. He said “man that sure is a BIG scrap”…LOL. I actually cut my triangles last night when I made the other mini quilt…Does any one have the ruler I have shown in the picture? It is a Simpli-EZ Jelly Roll Ruler by Kimberly Einmo. I love this ruler. The markings on it make cutting charms, Jelly Rolls, and Layer Cakes a snap :) I have her triangle on too and it is also great! Of course I have to have white squares for the background…Kona Cotton (my favorite white). I can see a star forming :) Don’t you just love it when you start seeing all your pieces coming together to make your pattern? Ok, I am off to finish the rest of the star and decide how I am going to do the back. I have decided what I am going to do for the Party tomorrow. I will be binding this little cutie. The binding will be in the same striped fabric. 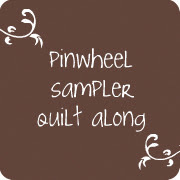 I will also be making another one identical or close to it for the mini give away quilt for the NAME THAT QUILT contest. 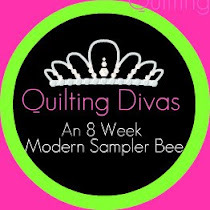 If I have time I will try to make a second mini quilt (more than likely it will be in different fabrics) for the second give away quilt. Then I will probably wrap up the evening by finishing the binding on my BIG VERNA quilt. I can not wait until Saturday. 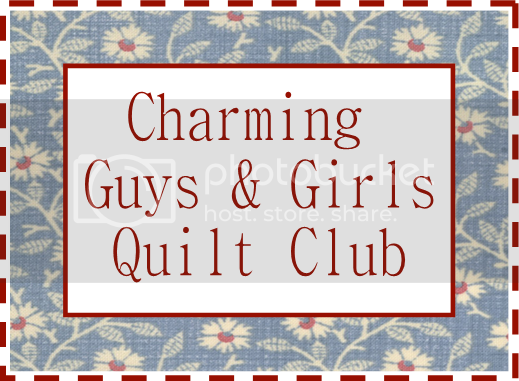 That is when the CGQC is having it’s Spring Sewing Party. I will probably be finished binding my VERNA quilt, so i think I will work on a couple of wall hanging with the left over charm squares. That should keep me busy, and maybe I will actually finish the project on Saturday. For those that don’t remember my Valentine project took forever and my machine ended up having to go in to the shop. Well good luck and hope your machine is OK!!! Oh so glad you are coming to the party! 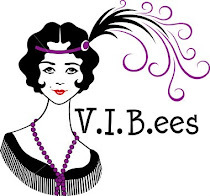 I can't wait to see your projects! See you tomorrow. So glad you're going to party with us - should be a lot of fun! Looking forward to seeing your quilt. I plan on finishing soon, to start on Project 2. But time goes so quickly,so I must rush... :-) .... happy quilting to you. That pink is absolutely gorgeous!! I may have to pick some of that up! Look at you go, Rene! I love it, just love it! Perfect for the Verna fabric, too! I love the look of the single striped strip down the back! Oh Rene, I'm REALLY liking this mini quilt...ALOT!!! Pizza. Yummy! We went to an Italian restaurant for lunch. Did not have pizza, though. So, you are back in your jammies. Comfortable, warm, and sewing up a storm. 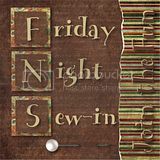 I am staying in my workout gear so as not to waste time, as we are heading out to friend's for dinner tonight and will need to shower later...Love your mini quilt! I must have some Verna!!! I love the stripe!! Hmmm...back in your jammies! Sounds like that's a habit I could form! Hope you are having fun at the party! HOLY COW! That is so pretty! Hope your foot is ok...PARTY ON!!! Love your little quilt. Thank heaven for good reflexes! 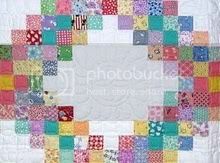 You did a beautiful job quilting the lovely mini quilt. Glad you weren't injured by the flying meat! I love it! Can't wait to see your binding choice. 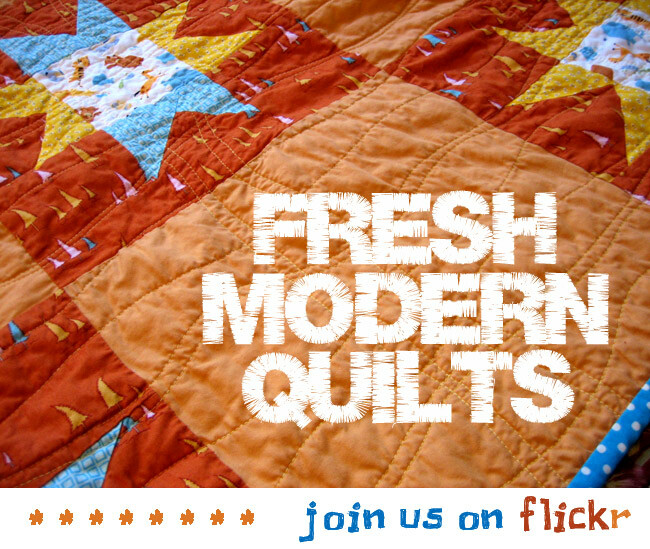 Your mini quilt looks great! Love it. Rene, your stars are so pretty and I think the striped binding will be perfect. Can't wait to see the finished quilts! Cute, I like how you pieced the back. Rally like the bright and sweet colours for the spring star. Love the fabrics and the stars. Spring is in the air! Great job quilting the mini quilt. Enjoy seeing all that you get done. Wow great job on your mini quilt. Interesting that you used Kim's new ruler. It was a fun party. I'm very intriguied by that ruler you showed. I luv your Verna quilt! Verna=Spring! That was excellent progress. Your Mini Quilt looks wonderful!! Hope your foot was not too damaged, I can't imagine what 20lbs feels like falling on your unsuspecting foot. Love that little mini! That fabric is so bright and fun.